Carlsbad, CA September 13 – Today, September 13, 2015, is the day that Jonathan Cahn and many other “Christian Fear Merchandisers” have been promoting as the day financial calamity would take place. The Hebrew “Shemitah” that allegedly started on September 25, 2014. Here we are. This is the day. 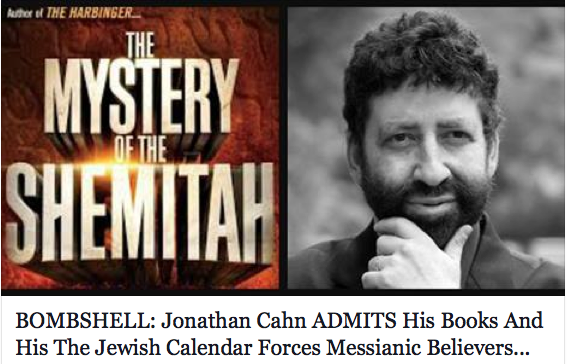 First, did everyone buy Jonathan Cahn’s book, “The Mystery of The Shemitah“, on the subject? Second, did everyone buy all the survival merchandise from “Christian Fear Merchandiser” websites who promoted Jonathan Cahn’s book? Third, did everyone spread the fear around so others could buy Jonathan Cahn’s book and the survival merchandise? Fourth, did fear drive your purchasing? Even just a little bit? It’s time to settle down and trust Him, the God of the Bible, Jesus (Yeshua), the Word of God, alone. Now that we are back to a sound mind, let’s observe how Jonathan Cahn exposed himself back in January of this year. Jonathan Cahn exposed himself with his alleged “prophetic” book when back in January 2015, he was being interviewed by fellow “Christian merchandiser“, David Reagan. So it appears that David Reagan masterfully blew a gigantic hole in the middle of Cahn’s book, while at the same time, Reagan himself forgets that he himself referred to Cahn as a prophet back in 2013. How can anyone trust that socalled "prophet" Jonathan Cahn - the disgusting traitor welcomed at the evil NWO-UN!? And David Reagan - who calls himself a Christian - has to read his Bible more carefully and not follow Satan, who is creating a throne for Antichrist in Jerusalem. 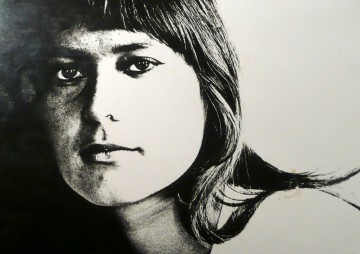 Previous post: Satanisterna välkomnar inbördeskrig & IS är sionisternas duktiga idioter & m.m.